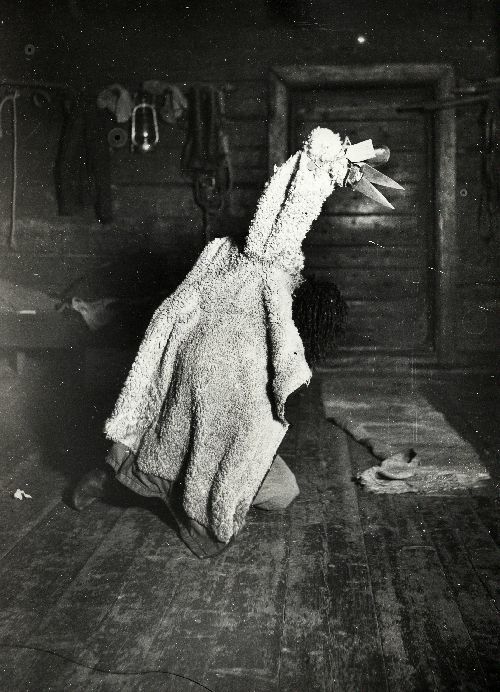 Kekri, the ancient, almost forgotten, Finnish celebration of the end of the harvest season, was still commonly celebrated in rural Finland 100 years ago. The Halloween tradition, which has come to Finland as an import from the American cultural sphere, with scary costumes and children begging for sweets, contains many elements in common with traditional Finnish late autumn festival. Halloween has roots in the Celtic Samhain new year’s celebrations, which Irish immigrants took with them to America. It was then that the summer was over and the souls of the dead joined the harvest celebrations. In Finland the turn of the year occurred at around Kekri time, and at about the same time, Finns observed an interim period of about two weeks, when the months, calculated according to the phases of the moon, were adjusted to the solar year. This phase between the new and old year was considered significant, and it involved many different kinds of beliefs. People looked for omens in the weather for the next harvest season, and guidance was also sought on matters of love. The spirits of the dead were said to wander in this world especially during the Kekri period. The feast to celebrate Kekri was prepared already before bathing in the sauna, and the dead of the family were invited to come in and sample the offerings while the others bathed. In different parts of the world the harvest celebrations have included a sacrificial meal. In Finland, the feast was crowned by a Kekri lamb. The blood was spilled for the protectors of the cattle, and a soup was made of the meat. At harvest time, stores of food were bulging, and there was no stinginess when celebrating the autumn feast. Once the work of the year was done, it was time to eat, drink, and dance. At least the man of the house was expected to get as intoxicated as possible so that the grain harvest for the next year would be as big as possible. 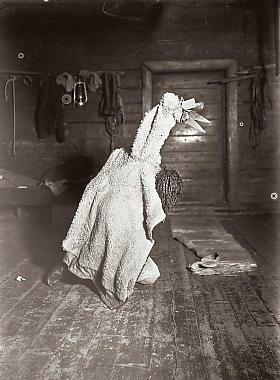 The «Köyri goats», dressed in a mask and fur (precursors of the present Finnish Father Christmas) went from house to house begging for drinks of the fermented drink sahti, and amusing the people in the house. 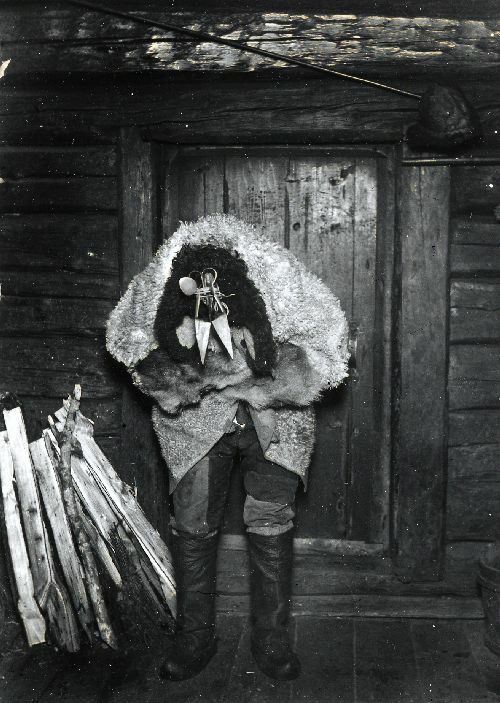 From the middle ages onward, the old Finnish customs started to blend in with the new Christian elements. The Church sought to bring the Julian calendar into use in Finland, and the new year was moved to the beginning of January. Первая суббота ноября — так называемый «день кекри». Этим удивительным словом финны обозначают все последнее (например, последний листок на дереве или последняя незамужняя дочь) и все первое (первый весенний дождь, первый внук). «Кекри» — это то начало, которое обозначает конец чего-либо и тот конец, за которым что-то начинается. Нужно ли говорить, что «день кекри» — официальный выходной? И что уходит он обычно … правильно, НА ПОДГОТОВКУ К ПОДГОТОВКЕ К РОЖДЕСТВЕНСКИМ ПРАЗДНИКАМ! Кроме того, «кекри» — праздник сам по себе, поскольку это — день показательных выступлений и презентации всех программ и представлений, которым предстоит поразить зрителей в дни святок.